Donny McCaslin was born August 11, 1966, the son of a high school english teacher turned Jazz musician. 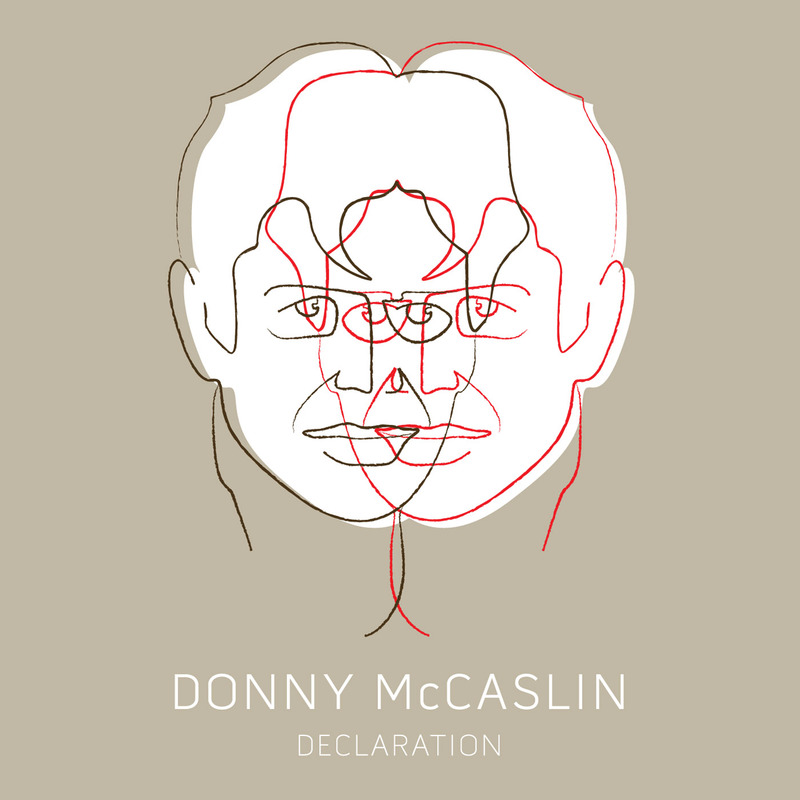 The elder McCaslin is a prominent pianist and vibraphonist in Donny's hometown of Santa Cruz, a coastal community 90 miles south of San Francisco. Enveloped by music, particularly jazz, Donny picked up the saxophone at the age of 12. 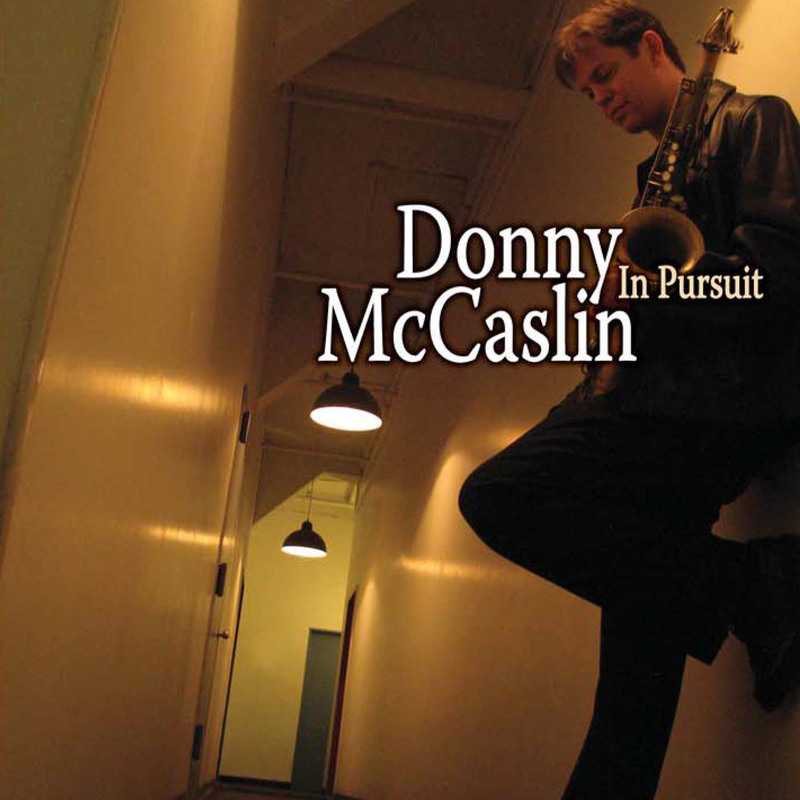 While studying with local players, Donny absorbed the work of John Coltrane, Sonny Stitt, and Michael Brecker. Today he cites an eclectic range of influences, from Duke Ellington to Bill Evans, Wayne Shorter to Stan Getz, Stevie Wonder to Soundgarden, and Frank Sinatra to Los Papines and Los Munequitos De Matanzas. Donny attended Aptos High School, renowned forit's Jazz program. Before he graduated, Donny toured Europe with the school's big band, wowed local musicians with his precocious chops and mature sound, and played in the Monterey Jazz Festival's California all-star band three years running. Donny attended Berklee College of Music in Boston, where he studied with George Garzone, Joe Viola and Billy Pierce. Vibraphonist (and Berklee faculty member) Burton hired Donny, a four year stint that led to work with Burton's pianist, Makoto Ozone, around Boston. On a jazz cruise with Burton, a then 23-year old McCaslin blew away the late Leonard Feather, who wrote that Donny "amazed the audience one night by stealing the show in a saxophone jam featuring such seasoned pros as Red Holloway, Phil Woods, David "Fathead" Newmanand Flip Phillips." 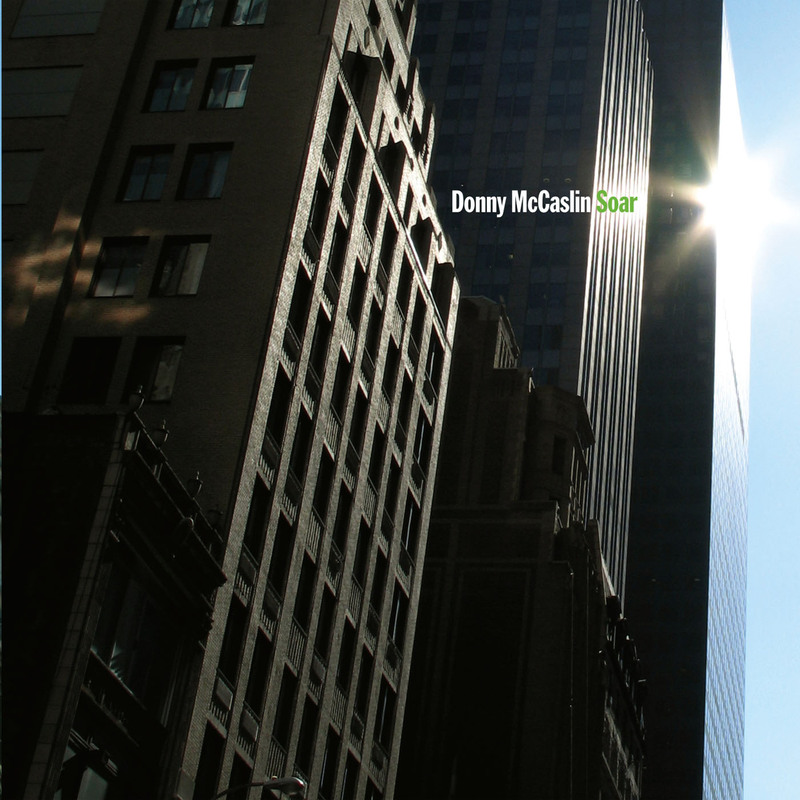 Donny moved to New York City in 1991 and quickly found work with bassist Eddie Gomez. Gomez introduced Donny to vibraphonist Mike Manieri, which led to work with Steps Ahead for two and a half years. Donny recorded on the band's track on the compilation album "Jazz to the World"(Blue Note) and the band's 1995 release "Vibe" (NYC) in which he co-wrote a song. In 1996, Donny played a principal solo role in composer-trumpeter Ken Schaphorst's "Uprising," a big-band work that featured him and was debuted at Lawrence University. The piece was subsequently released on Schaphorst's recording "Purple" (Naxos) three years later, with Donny 's solo work winning rave reviews from the jazz media. In 1998, Donny released "Exile and Discovery," a collection of standards, originals and Astor Piazolla etudes. The album teamed Donny with drummer Billy Drummond, pianist Bruce Barth and bassist Ugonna Okegwo. For the auspious debut, Jazziz magazine proclaimed," This newcomer already sounds like a vet." Around the same time, Donny was jamming with Binney. The sessions morphed into Lan Xang, which was more of an experimental collective. The group offered up it's debut in 1997 with an eponymous title album on Mythology records. "Hidden Gardens," the band's sophomre effort on Naxos, followed in 2000. 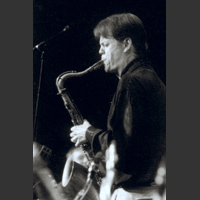 In January 2004, Donny joined Maria Schneider's Jazz Orchestra after subbing on the band for years. A year earlier Schneider featured him on her "Buleria, Solea y Rumba," commissioned by Jazz at Lincoln Center. He also recorded that piece on Schneider's latest CD, "Concert in the Garden" (Artists Share) and was nominated for a Grammy Award for "Best Jazz Instrumental Solo" for his work on that track. Donny has also been playing with the great Brazilian duo Flora Purim and Airto Moreira, soul-jazz singer Monday Michuru and drummer George Schuller's "Circle Wide" with Ingrid Jensen. Other performing credits include Pat Metheny, Gary Burton, Steps Ahead, Dave Douglas, Brian Blade, Tom Harrell, John Pattitucci, Billy Hart, Bebel Gilberto, Eddie Gomez, Alexander Sipiagin, William Cepeda and Afrorican Jazz, Santi Debriano's Circle Chant, George Gruntz, Luis Bonilla, Hector Martignon, Willie colon, Roberta Pickett, Eric Mingus, Jason Linder Big Band, New York Voices, Gil Evans Orchestra, Mingus Big Band, the Vanguard Jazz Orchestra. He's also loaned tenor work to solo recordings by fellow Lan Xang bandmates Colley and Binney. Meanwhile, Donny continues to make regular appearances with his band, often at New york City's 55 Bar club. Various sidemen on the gig include guitarists Ben Monder and Adam Rogers, drummers Antonio Sanchez, Gene Jackson, Clarence Penn, Dan Weiss, and Eric Mcpherson; bassists Ben Street, Hans Glawisnig and James Genus; and pianists Jon Cowherd and George Colligan. Donny will also be leading a band at the Islay Jazz Festival in Scotland this year. "Having a group and an environment to present and develop my music is essential to my growth as an artist, composer, and bandleader," he says. "I'm grateful to the 55 Bar and it's owner Queva Lutz for providing me such a place." Looking beyond 2004, Donny says, "I want to tour and record more with my own groups and projects as well as continue and expand upon my various sideman activities."